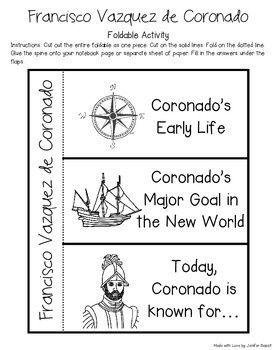 Use this activity pack to teach your students about Francisco Vazquez de Coronado, Spanish explorer. 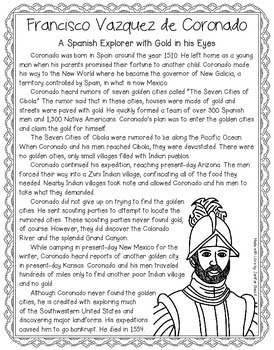 Remember to follow my store to see new products, including new explorer activity packs. Just click the "Follow Me" star at the top of this page! 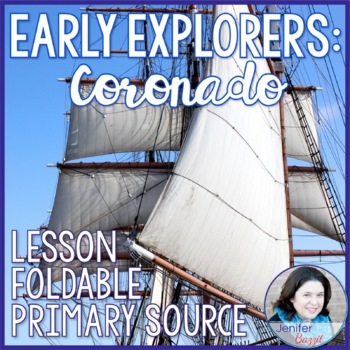 Plimoth Plantation Unit: The Mayflower, Pilgrims, Wampanoag Indians, and More! 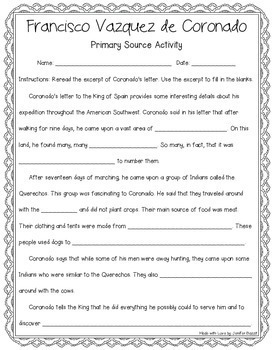 Constitution and Bill of Rights Bundle- 4 Excellent Products in One File!